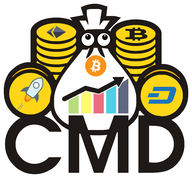 Find all coins MarketCap & ico reviews, real time currency live prices, historical charts, news, forum, portfolio, new ico reviews, ranking and ratings by visitors and people around the world. Oxu Remini updated his status. 1 MGOLD for $9.8 Million or 4.9 Waves! Someone is Selling 1 MGOLD for $9.8 Million or 4.9 Million Waves!